We were all Born To Win! Seeds of greatness require cultivation. This is where we form a team! My mission is to impact communities one life at a time. Id od this by training, coaching, speaking and publishing books relevant to invisible obstacle that slow progress and achievement in individuals and groups. 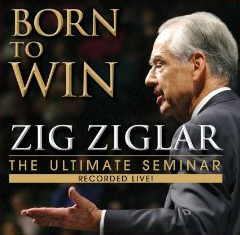 Zig Ziglar has communicated countless presentations and publications over 40 years. The perspectives, the knowledge, and the systems for achieving what you want in life, by helping others achieve what they want in life lead to my partnering to share my story and impact lives in true Ziglar fashion. Ziglar Legacy Certification is validation that Ziglar Inc. and I approach success with integrity. My area of expertise Traumatology, Stress Management and Crisis Intervention. Conflict Resolution Solutions, is a book I wrote to meet people where they are and equip others to improve communications skills. It is a privilege to empower others to activate their Top Performance. By implementations of proven systems you too can realize and overcome challengesto be do and have results far greater that you can imagine. It is all about significance. You designed to achieve in every areas of your life. What are you waiting for? You are one defining decision away from launching into the Best You!